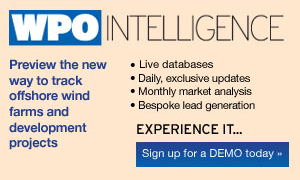 Latest offshore wind power companies, policy, wind farm projects, operations & maintenance and technology news & analysis. GE has pulled out of two of three French offshore wind farms being developed by a joint venture of EDF and Enbridge with rival manufacturer Siemens Gamesa stepping in. EXCLUSIVE: In order to offer its new 10MW offshore turbine commercially by 2022, Siemens Gamesa Renewable Energy (SGRE) must install the prototype this autumn. Eize de Vries speaks exclusively to the company's technical experts about the development process. Siemens Gamesa Renewable Energy (SGRE) is in "final negotiations" to provide its recently unveiled 10MW turbine for the world's first zero-subsidy offshore wind farm.